Sat 2nd, 10am to 4pm: Living Roof workshop at Devonshire Road Nature Reserve. 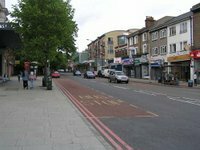 Sunday 3rd, 10am to 3pm: Food Fair at Forest Hill station. 13 stalls, a wide variety of local produce. Mon 4th, Noon to 5pm: Living Roof Celebration at Devonshire Road Nature Reserve. Plant the roof while enjoying some music, food and drinks. Sun 10th, 5pm to 6pm: Find a Theatre. Are you excited by the idea of a new open air performance space in Forest Hill? Come along and explore Albion Millennium Green and share your ideas and opinions about how we can create something wonderful. Sat 16th, 2.30: Gardening afternoon to extend our entry in the RHS ‘It's Your Neighbourhood’ competition and ‘Lewisham in Bloom’. Meet in front of the Job Centre, Dartmouth Road, to dig out and plant up the tubs around the trees. Bring gardening trowel and a carrier bag. Sat 23rd, 5pm to 7pm: Foresters/All in One, General Meeting and Barbeque. Sunday 1st, 2.30: Forest Hill Station forecourt: Tidy up of the station beds in advance of our RHS judgement day on Monday 2nd . Bring gloves etc. Sat 7th, 11 - 4.30pm: The brilliant Blythe Hill Festival. FHS stall. Celebrate Blythe Hill Tavern local pub of the year (normal pub hours). 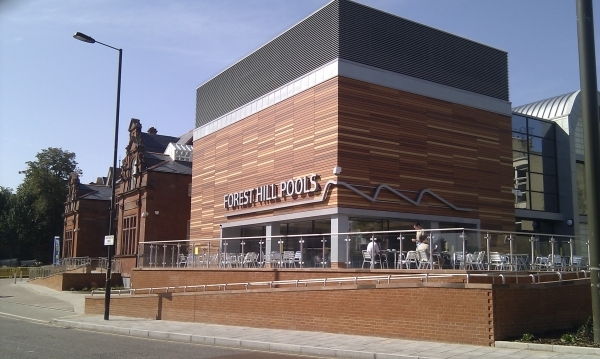 Saturday 22nd: Forest Hill Pools re-opening event.